A heart is made to love, but can it truly forgive? Filled with confidence, intellect, and beauty, Julie Michaels was comfortable navigating life on her own. But everything changed when she met Brett Chambers and he found a way into her heart. Brett knew Julie was his soul mate. She mirrored everything he desired until she wanted forever. Having been burned before, he had no intention of repeating those vows. His refusal cost him what he treasured most – Julie. Letting go of Brett was the hardest thing Julie had ever done. It tore apart her soul and every fiber of her being. Shattered, she tried to move on, but life had a different plan. 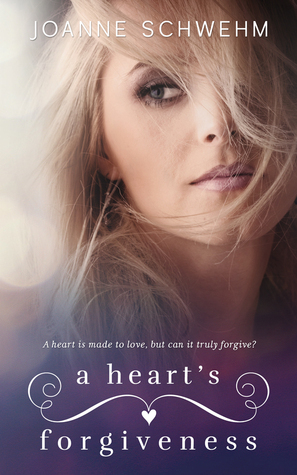 Would Brett’s mistake mean losing her forever, or could Julie find it in her heart to forgive him? In A Hearts Forgiveness we meet Julie Michaels and Brett Chambers. This is a book of love at first sight, friendships, heartbreak, healing, forgiveness and learning from mistakes to evolve into a better person. Julie has no family, is a workaholic, has an amazing best friend and happy with her life. One night while working at a local club she meets Brett and it's literally love at first sight. Brett is a love em and leave em man and Julie has never had love on her radar. Immediately starts a love affair and neither fight their feelings. Problems arise when Brett makes a comment to Aubrey, Julie's best friend, about never wanting to be married again. Aubrey lets Julie know this information and everything falls apart and fast. Feelings are hurt people act like children rather then the adults they are and one night changes their futures forever. Can ones heart forgive the unforgivable, can one forget something that hurt them so deeply and move on. Maintain a friendship while still in love with them or even move back to where they were before. I found this book to be refreshing. I also had extremely hard time with some of the actions of the main characters. But this brought out the emotions you should feel when reading a book. And in the end my heart was repaired. This is a solid 4-star read and I highly recommend.